• DESCRIPTION: Retailer Incentive Hasbro Variant Cover. Edge of Spider-Verse: Part 7 of 10 - Peer over the EDGE OF SPIDER-VERSE! Spidey teams up with Ms. Marvel in a high-flying (stepping in Kamala's case) adventure! Who is Spider-UK and what does he have to do with SPIDER-VERSE? 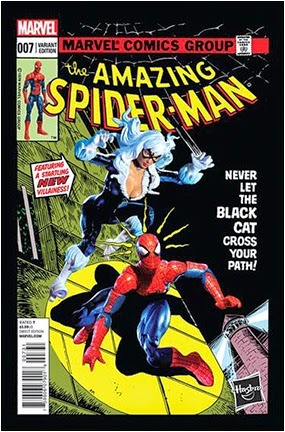 Written by Dan Slott and Christos Gage. Art by Giuseppe Camuncoli.